2 Days til’ Christmas Countdown: These beautiful christmas ornaments can be used to hang on your tree or used as decoration during the holiday season. They are fragile but very beautiful and easy to make! 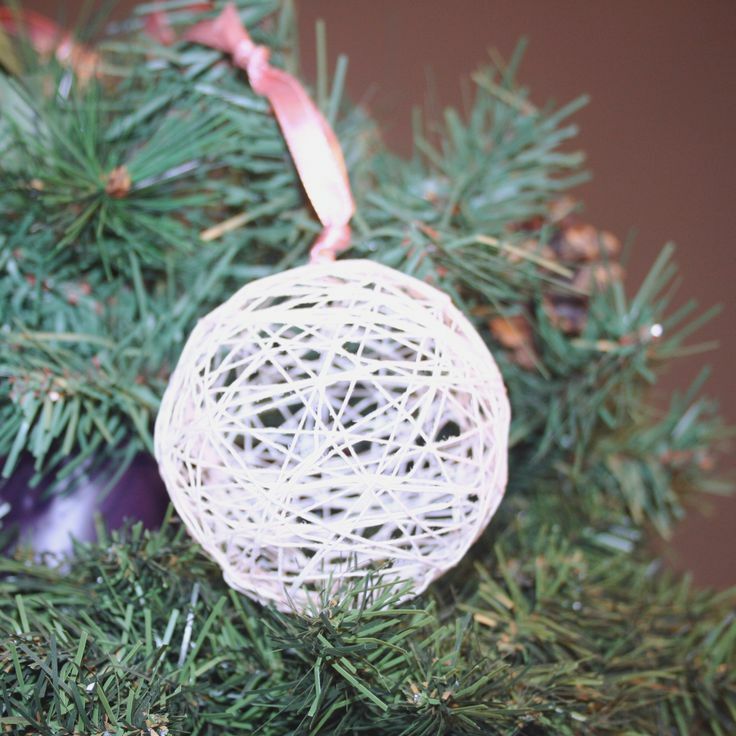 Blow up a balloon to whatever size you want your snowball string ornament to be. Tape the end of the string to the balloon so it stays put. Wrap the string around the balloon in whatever pattern you’d like, try a lacy, nest-like pattern. Make sure to wrap it enough times so there aren’t too many large spaces. The larger the spaces the more fragile and delicate the ornament will be. Dip it in fabric stiffener. Allow the stiffener to dry for the amount of time as per the directions on the bottle. Pop the balloon using a sewing needle, knife or any other sharp object. Tie a ribbon to one end of your snowball string creation and hang wherever you see fit!